The ground floor is equipped with a custom fitted kitchenette for your cooking needs, a relaxed seating area, toilet and external balcony. 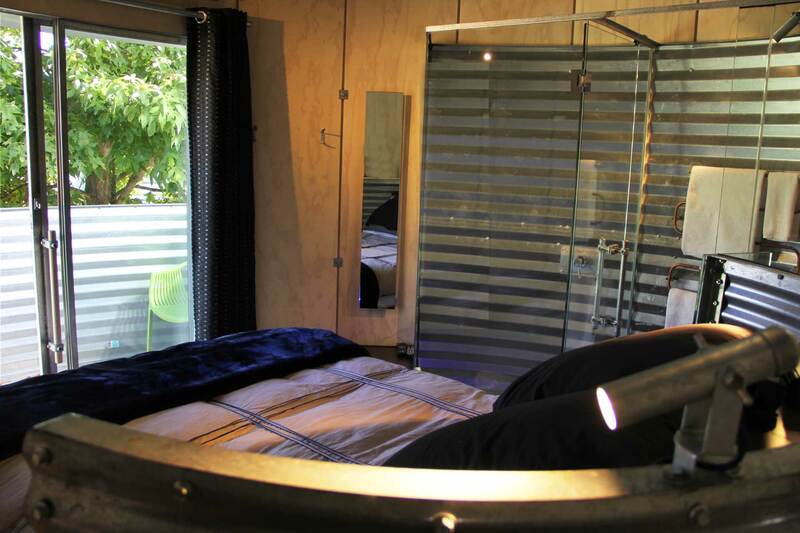 The stylish and luxurious upper floor bedroom, bathroom and balcony are accessed via a sculptural steel staircase. Each Silo has a wall mounted flat screen TV with satellite channels and DVD player, bed head mounted MP3/CD/iPod/USB stereo unit, and free WiFi. Beds are fitted with feather and down duvets and electric blankets. Clever design is evident in all aspects of SiloStay – clientele will appreciate the ability to house their bike or kayak on the specially designed hanging rack. All rates inclusive of GST. Rates and minimum stays may alter during public holidays and peak periods. The ground floor is equipped with a custom fitted kitchenette for your cooking needs, a relaxed seating area, toilet and external balcony. 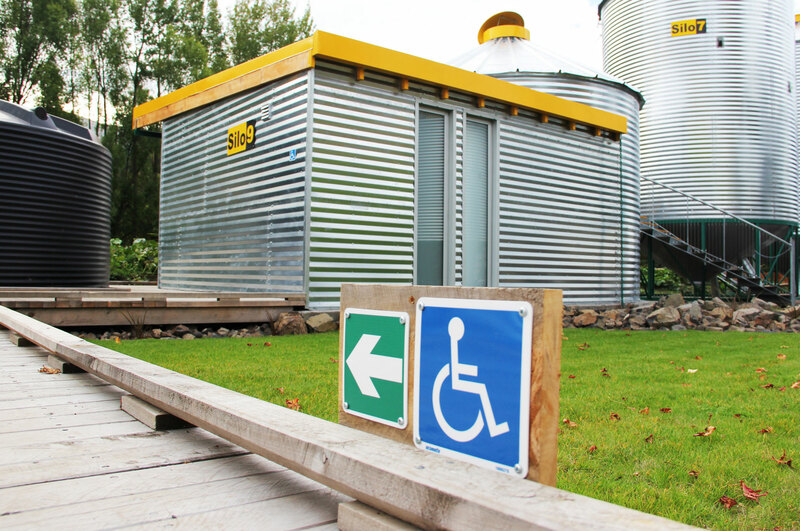 Housed on one level, the Accessible Ground Floor Silo is spacious and caters to our clientele who require wheelchair accessible accommodation. 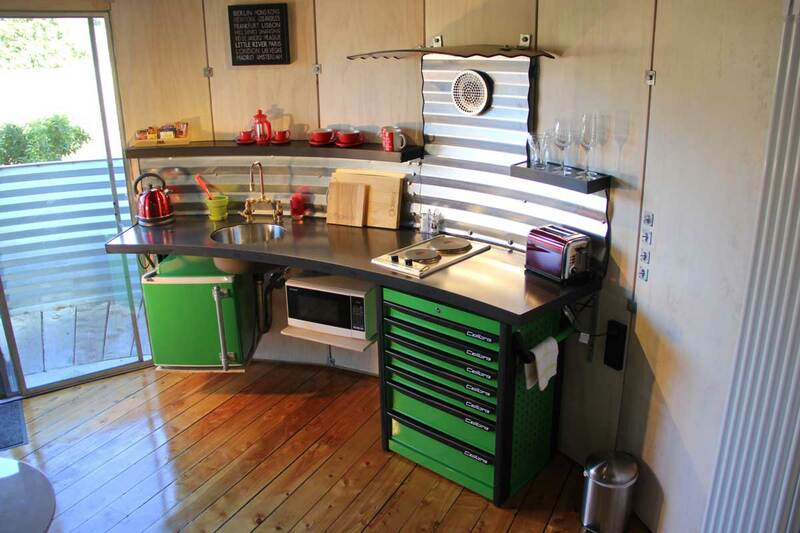 This open plan unit can be configured for up to two adults*. The Accessible Ground Floor Silo has a wall mounted flat screen TV with satellite channels and DVD player, bed head mounted MP3/CD/iPod/USB stereo unit, and free WiFi. Beds are fitted with feather and down duvets and electric blankets. View images of our Accessible Ground Floor Silo here. 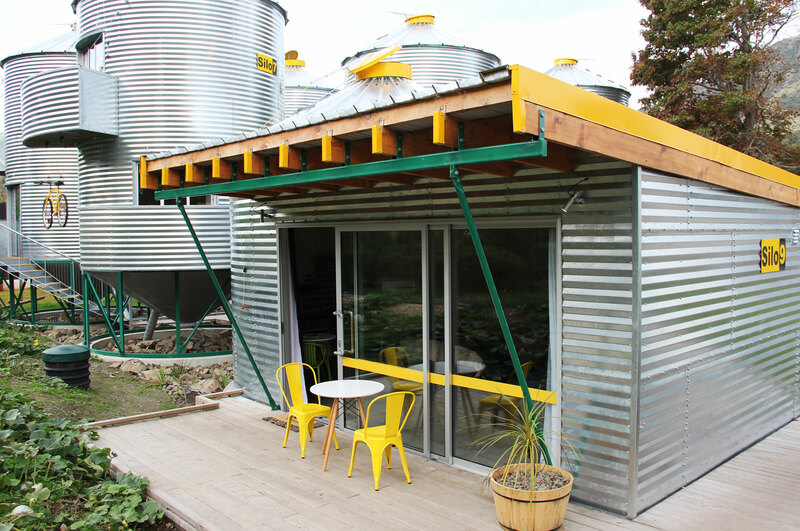 *Families: Please email Lisa at info@silostay.kiwi.nz, or phone on 03 325 1977, to discuss your needs and we will confirm an ideal silo configuration and pricing information. 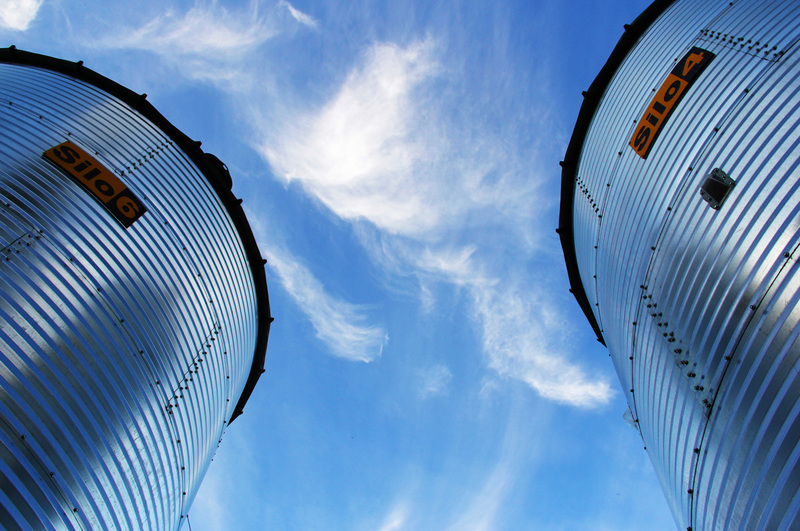 Check which Silo is right for you! Situated within the heart of Little River, SiloStay has been created to make your stay in Little River as pleasurable as possible, by providing unique accommodation at reasonable rates. 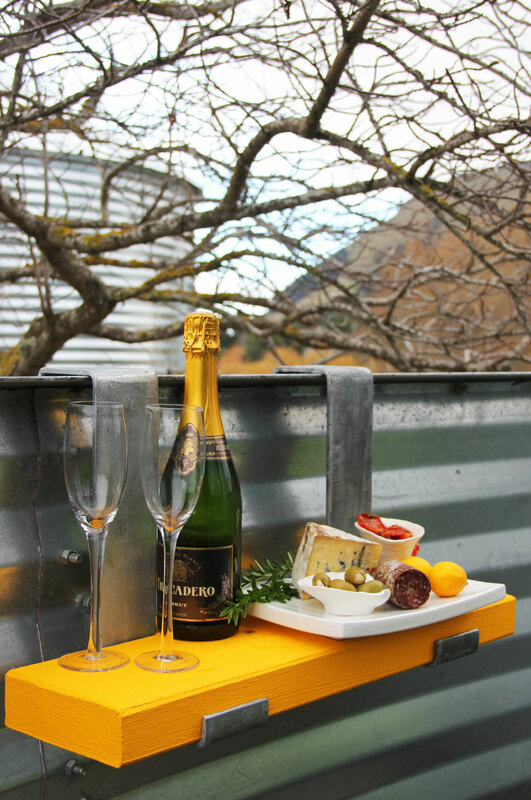 Whether your stay is for a romantic weekend getaway, or for a longer time to soak up renowned Banks Peninsula, SiloStay will make your stay comfortable and memorable. Please note that some areas of Banks Peninsula do not receive strong mobile phone reception. Spark and Skinny mobile have the strongest coverage and are available at SiloStay. Vodafone and 2Degrees have little or no reception at SiloStay, but can be picked up further up/down the road. There is a public telephone box next to the Little River Craft Station, just a stones throw from SiloStay. SiloStay provides you with free WiFi. 'How to get it' will be in your yellow 'how to know it all' compendium on your table. We recommend you read this as it contains useful information and instructions for in and around your Silo and the surrounding area. Many thanks, and we hope you have a wonderful stay! A truly original gift, create on our Gift Voucher tab, email Lisa at info@silostay.kiwi.nz, or phone on 03 325 1977 to inquire. Email us with your 4-digit voucher code and we'll get you booked in! Cancellations may incur charges – see Terms and Conditions for full details. Cancellations or changes can be made by emailing info@silostay.kiwi.nz.